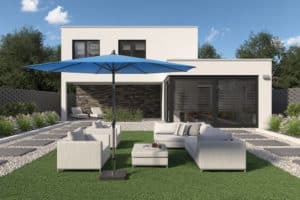 The Outdoor Scene, offers customers a retail showroom located in Goatstown Cross, on the south-side of Dublin, as well as an online website featuring a comprehensive product offering for all your outdoor entertaining area needs. At the Outdoor Scene, customer service, and top quality products come first. With a well established history of serving many happy customers in Ireland, the Outdoor Scene is the ideal choice for Garden Furniture. 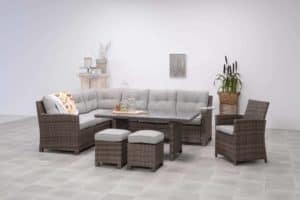 The Garden Furniture range is extensive, and includes popular rattan garden furniture sets, cube style furniture sets, outdoor sofas, as well as fining dining funiture, all designed with durability, and impressive aesthetics in mind. 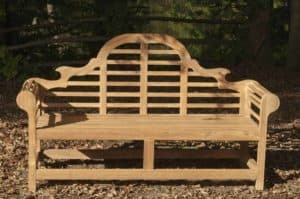 Choose the right garden furniture for you. Rattan garden furniture is commonly known as wicker furniture. Typically rattan furniture is made from highly durable synthetic polyurethane material, has an attractive weave or woven appearance, but best of all it is maintenance free. Perfect for the outdoors. Rattan furniture styles vary from larger corner suites, to more space conscious rattan cube sets. Turn your backyard into a luxurious relaxation space with a garden sofa set. The Outdoor Scene offers an extensive range of outdoor sofas & lounges designed to suit any outdoor area, or budget. 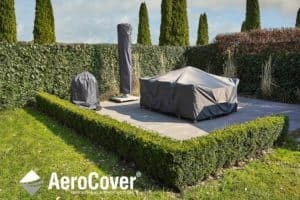 Optional extras include well suited outdoor garden cushions and protective covers. Nothing compares to fine dining outside in the fresh air, and ambience of one's home. At the Outdoor Scene, the service, advice and products are entirely comprehensive to suit your desires. From outdoor heating, lighting, cooking, barbecuing through to the best quality dining furniture available in Ireland. The Outdoor Scene's showroom in Goatstown is the perfect destination to find inspiration, and design concepts that will make your outdoor entertaining area truly impressive. The Outdoor Scene's friendly and well trained staff are always more than happy to explore all your garden furniture options. Every customer is different, and comes with their own specific requirements. The Outdoor Scene takes great pride in our attention to detail and meticulous customer service. This has built great business relationships, and The Outdoor Scene genuinely values your custom. The Outdoor Scene also services the hospitality industry and other trade industries. Any commercial business enquiries are very welcome. Nationwide delivery is offered on all garden furniture. This makes buying your new garden furniture set online, all the more easy. Browse the extensive catalogue online now at Outdoor.ie, and buy online securely, safely, and with prompt delivery to anywhere in the Republic of Ireland.